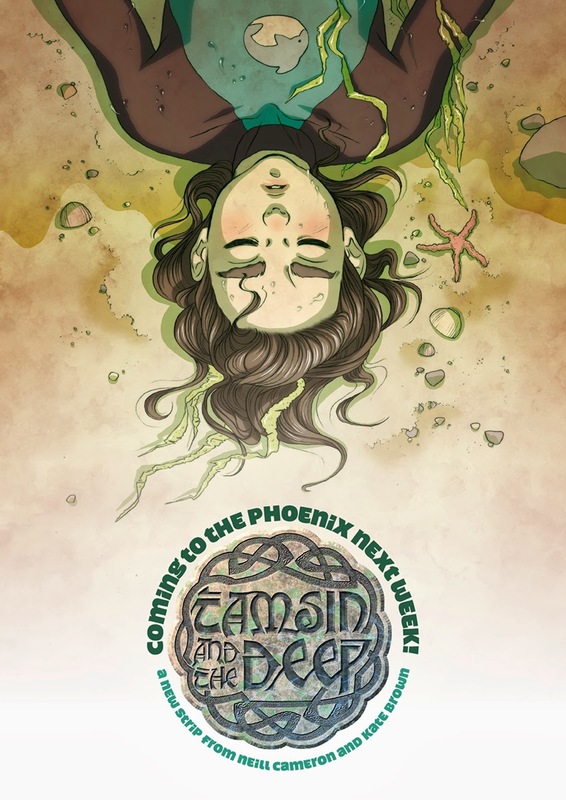 Starting next week in The Phoenix is Tamsin and the Deep, a new story written by me and drawn by the incomparable, the extraordinary, the really-quite-good-at-drawing-you-know, Kate Brown! I loved the short story Kate and I got to do together a while back, Emilie's Turn, and am beyond thrilled to be working on something longer-form with her. The experience of coming up with ideas and characters and seeing them brought to life with such style, character and vitality and - crucially - without me even having to pick up a pencil... well, to me it is so amazing that it may as well be sorcery, frankly. Anyway, I'm not going to say too much about Tamsin herself just yet. It's a story set in Cornwall, and it contains Mystery. What kinds of mystery? I TOLD YOU, IT IS A MYSTERY. The Phoenix issue 118, on sale April 4th. Buy the Phoenix online, on iPad, or from any of these stockists.